Possessive nouns can be confusing, so we’re here to help. 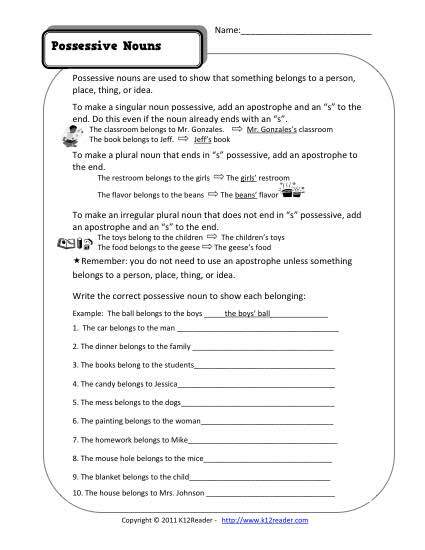 In this worksheet, your youngster will convert a list of phrases into a phrase using a possessive noun. Both 2nd and 3rd graders will find it good practice for Conventions of Standard English for Common Core Standards. Other grades may also use it as needed.